The Infernal Devices has wrapped up, we're all heartbroken and happy at the same time. It's alright because Cassie has started tweeting all about her next series, TLH. 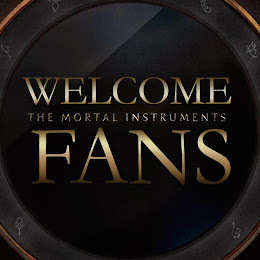 TLH will be about the second generation to The Infernal Devices. At the moment, Cassie won't tell us what TLH, but anyone have any guesses? Also, Cassie mention a few things about a new secret unnamed project. This secret project will take place 3 years after The Dark Artifices. RT @danniecresta: " the descendants trilogy? ;) have you already decided what you're calling them?" yep! 3 books, set around 1903. RT @freakingcalie: " do characters from infernal make appearances in the 1903 bks?" they would be adults..it would be about their kids. RT @nataliebird345: " How many book series about shadowhunters are you planning to do?" I was planning five -- four trilogies and TMI. RT @tasshadowhunter: " How old are you planning on making the main characters in TLH?" 16, 17. RT @tasshadowhunter:"So this new series (TLH) is being released? When?" I don't know, I want to work on something without a deadline. So all I can say is that I am working on it. RT @princessofidris: " How many years between the end of TDA & the beginning of the 'secret trilogy' after TDA?" about three, in book time. RT @tobi4seaton: "Is it true that you'll write a book with a gay main character." yes.